Residents get ready to prepare their Thanksgiving Day meal. 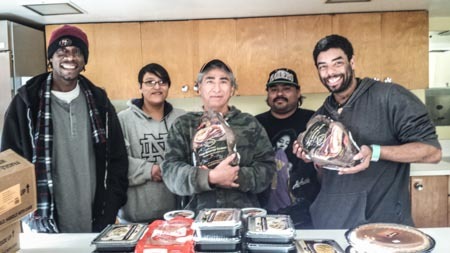 Donated by Green Skunk Medical in the Maple Leaf community, residents also enjoyed dessert donations from Annie at Two Dog Yoga and Maple Leaf Lutheran Church members. Abundance!